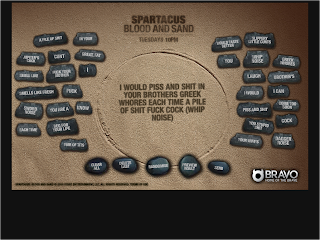 This is a fun web toy produced to promote Spartacus - Blood and Sand, currently showing on Bravo. Create your own insult, and send it to a friend, or get it to generate a random one for you. Nice one!